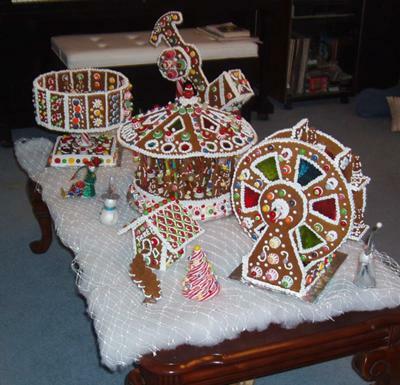 2007 Gingerbread Project . . . just for fun. Would you happen to have a pattern or give some advice to someone who would like to make this carnival. I am particularly interested in the ferris wheel, does it spin?